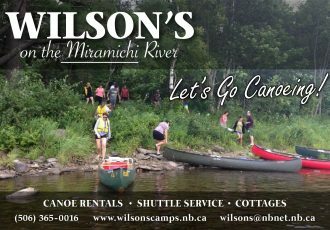 Atlantic salmon fly-fishing conditions for the Miramichi River near McNamee for July 22nd . As you can see the water is up again . Heavy thunderstorms last evening brought it up app. 12 inches by noon today . We expect temperatures to climb a little today after the water rises over the warm beach gravel but it should be cooled down nicely for the weekend with more rain coming Saturday .Bombers were working best , but it may be a different storey now . The water is not terribly dirty but larger flys are in order for sure .